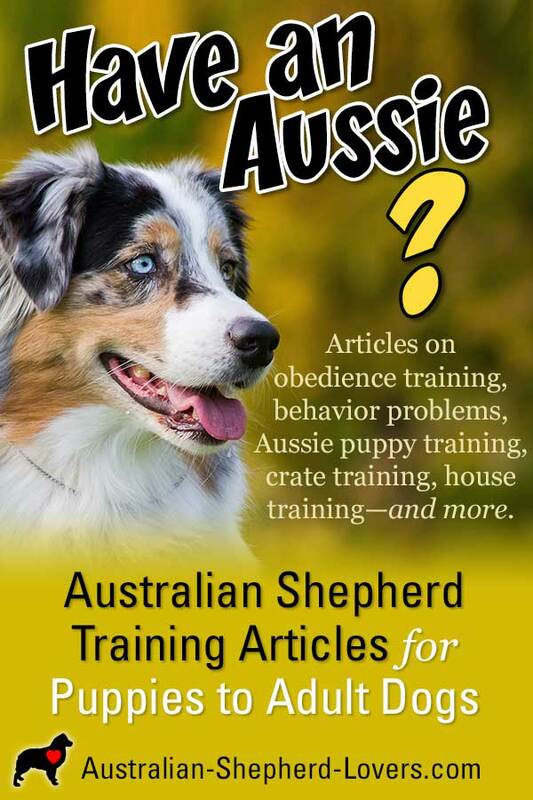 There is no denying that Australian Shepherd training is vital. Aussies are just too smart and have too much energy to not be properly trained. Without training, your Australian Shepherd will soon become an unruly handful instead of the amazing and impressive dog they were born to be. 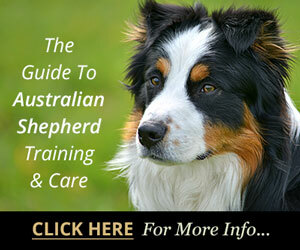 Want to Train Your Australian Shepherd? Not Quite Sure How To Get Started? Where to begin? There are a wide range of options and training programs available. Local training classes are great for learning and for socialization. 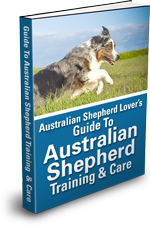 But you will want your Australian Shepherd training to be an ongoing process. 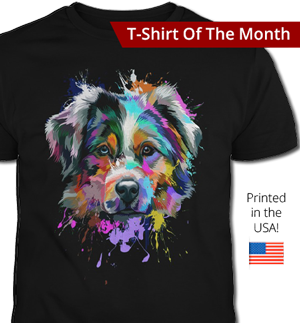 So you will need to learn how to train your Aussie from puppy to adulthood without having to rely on expensive one-on-one training. 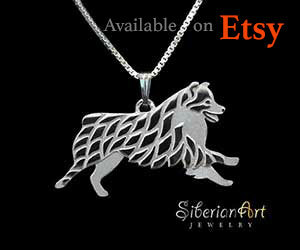 Australian Shepherd training is essential as they are very high energy and very intelligent. (That's a bad combination in an untrained dog.) Rule of thumb: If you aren't training your Aussie—your Aussie is training you! It is better to be aware of behavior problems than can arise and know what to do about them than it is to wait until a problem has become well established and then try to undo the damage—only to then be surprised by the next problem. You may even need to hire dog behaviorists to help you deal with serious—even dangerous—behavior problems like aggression. You could also spend a great deal of time (and money) going in circles on the internet searching for information and having to make sense of conflicting approaches. 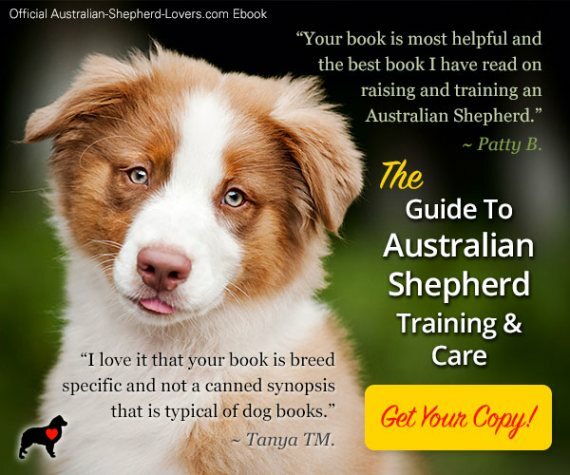 That's why we have put a great deal of effort into creating the Guide to Australian Shepherd Training and Care. It is a project that has been undertaken by this website to provide Aussie owners with the information they need—all in a handy guide to get you going in the right direction. Even if you are already experiencing problems the guide can help. 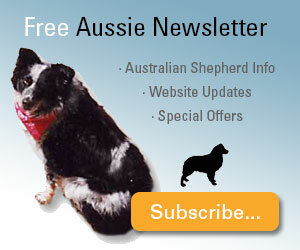 The information in the guide is great for beginners, for those with puppies, and for those with older Aussies. Don't put yourself through the stress, embarrassment and expense of having an unruly dog. Start with The Guide first, instead of as a last resort and you and your Aussie will be happier in the long run. You can download the ebook and get started right away. It is also backed by a 100% Money Back Guarantee. Use Pinterest? Save This Pin to Your Board! 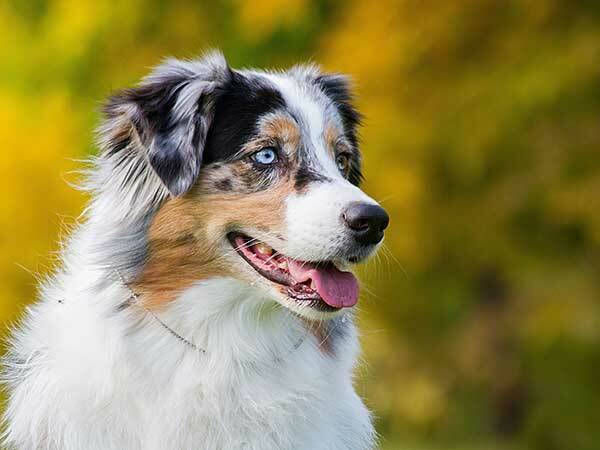 Is Your Australian Shepherd Getting Aggressive Or Biting? It's Time To Get Serious About Training Your Dog! 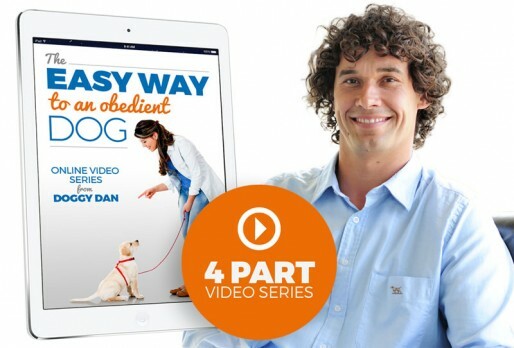 Professional dog trainer and behaviorist, "Doggy Dan" has created an incredible resource for dog owners everywhere who want to take their dog's training to the next level with easy to follow video lessons covering just about any problem you'll face. Will You Be Dealing With The Same Behavior Problems 5 Years From Now? Behavior problems can range from the embarrassing to the dangerous. Often people will write in wanting to know how to deal with a specific problem. Their dog is jumping up, or has become aggressive toward other dogs. Naturally, people want to know how to fix the problem. But, training your dog doesn't work that way. The problem is that these various behavior problems are seen as isolated issues, but they are not. They are symptoms of what happens when owners try to skip establishing the core foundation of dog training and jump to treating symptoms instead. You will never get anywhere with training your dog if you don't start with the foundation on which all your dog training to come will naturally flow. Doggy Dan refers to this essential component of dog training as "The 5 Golden Rules." Once this is established all your training going forward, from obedience training to dealing with behavior problems, will fall into place and can transform your dog's behavior and your relationship with them. The best way to learn how to train your dog is by watching a professional. That's why we take our dogs to obedience classes or hire dog trainers and behaviorists to give us one-on-one guidance. But once the class is over and the trainer has gone home you are left to your own devices and your fading memory. What if you could have a professional dog trainer and behaviorist at your home 24/7 that you could watch again and again covering whatever topic or problem you were having trouble with? Meet Dan, or "Doggy Dan" as he is known. 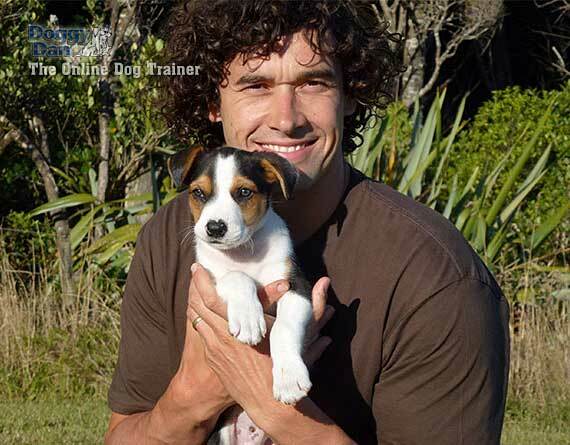 He is a professional dog trainer and behaviorist who has created an incredible resource for dog owners. It's an online video-based learning center organized to make it easy for you to access the information you need when you need it. Have training questions? What about serious behavior problems like biting and aggression? Dan has you covered. One of the things that I think really demonstrate the quality of Dan's program and integrity is that he doesn't expect you to take his word for anything. To start with, he offers a free 4 part video series to introduce you to basic concepts and demonstrate the quality of the information he provides in his videos. If you'd like to jump in a have a look at his full online video-based training program (hundreds of videos) he let's you do that too. You can get full access to his whole site (not just a few sample videos) for a 3 day trial for only $1. While he does have to charge the $1 to offset his costs, it's well worth it for 3 days of full access and it will give you plenty of time to see for yourself how good his program is and how it can help you and your dog. Imagine the progress you could make and the transformation you could see in your dog in only a few months having access to a professional dog trainer, with answers to all your questions in an easy to follow video format available whenever you need it! You can get the FREE 4 part video series by clicking the image above or here. 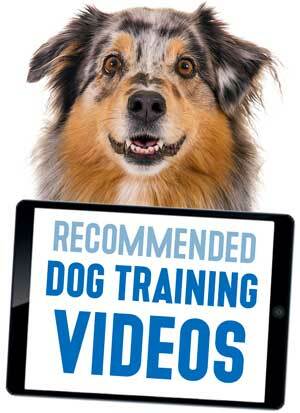 Or check out Dan's entire online dog training program for 3 days for only $1 here. Dog Afraid or Aggressive When Meeting Strangers? How Can Taking A Dog Training Course Help You? Want A Career In Dog Training? Have You Considered A Dog Training Career?